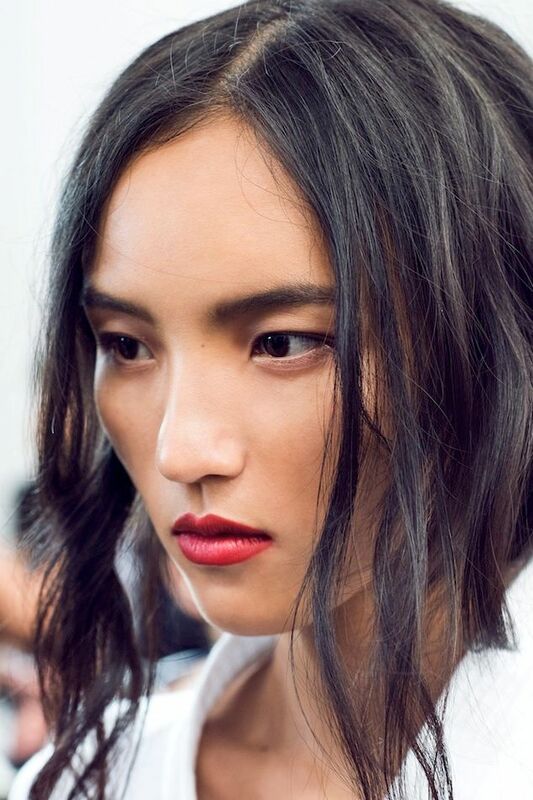 These backstage shots from the Burberry S/S 2015 show make for the perfect holiday party beauty inspiration. 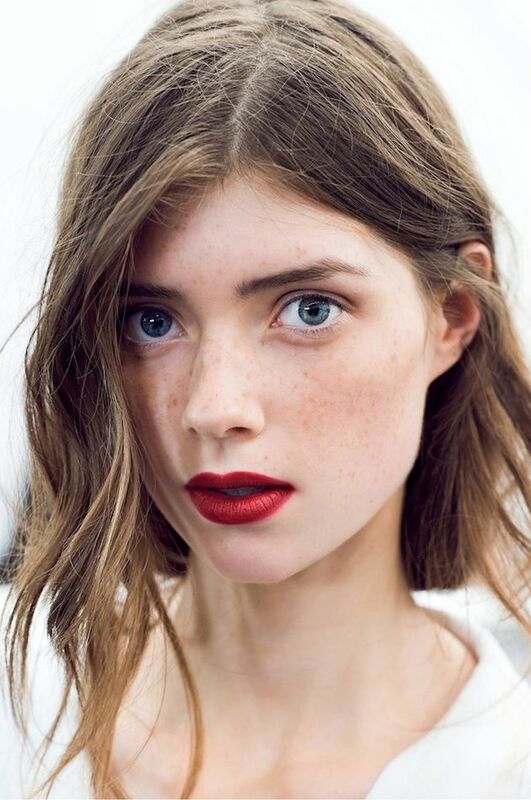 Try loose romantic waves, a satiny red lip and you’re good to go! Today’s post is about one of my favorite fashion things: dresses under $100. They make getting dressed so darn easy – you just throw one on and you’re instantly put together. And under $100? That’s totally speaking my language. Go here to see my full guide of Macy’s dresses under $100 that I put together for ShopStyle. PLUS get 25% off with code ShopStyleFF on dresses and more at Macy’s, ends Dec. 8th. Both of these dresses are under $100 ($75 with the code). First up is this colorful Betsey Johnson. I was just lamenting my search for dresses with long sleeves and structure last week and this dress has exactly that! Plus, what a fun print. It’s a blend of professional, yet out of the box. It would be perfect for fashion events but I gotta admit, I’m feeling a bit shy about wearing it. Is it “too much”? Next up is a navy Vince Camuto that is so sleek and sophisticated, and yet so incredibly comfortable. I love the look of this dress the most, but wish it had thicker material like the Betsey Johnson. It’s gorgeous though and it would look great with black boots and tights for colder weather. Check out some more of my favorite dresses under $100 below. Which dress in today’s post is your favorite? Today’s post is brought to you by Macy’s and ShopStyle. All opinions and editorial decisions are my own. There are a lot of matching twin sets circling at the moment, but after a moment of observation I think you may agree that most of these styles should be left to your 5 year old nieces. However, there is a way to look chic and grown up in a matching twin set, here’s how. 1. Avoid florals and anything cute. Its one this to have a print to contrast with another part of your outfit, its another to look like an over flowing sticker book. 2. Go for tailored pieces like a well fitter blazer and team it with a skirt, pants or shorts. 3. Not that you have to worry if you’ve taken on the Harper and Harley black, white and grey style, but I would highly recommend avoiding pastels and hues that are highly pigmented. Black and whites are going to help give this look the maturity it needs. The post How To: Twin Sets For Grown Ups appeared first on Harper and Harley. A few gift ideas to get you thinking. Some are personal favorites I found this year. Bonus: Most are under $50! Other than the much-needed holiday cheer, this season is marked by gloomy days with limited sun and layer upon layer of dark clothing. It’s times like these that we have to keep things bright, and this hybrid Chloé is just the ray of sunshine we’re missing! Read the full post Chloé Leather Shoulder Bag: Canary in a Chloé Mine which appeared first on Snob Essentials.